Open House – TBD – Parents are invited to watch their child’s class during this week. Hundreds of Ottawa Region children have chosen to develop their dance skills at The Studio School of Dance since we opened our doors in September of 1992. 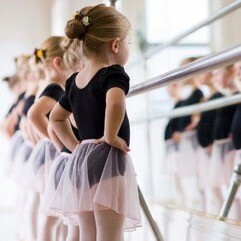 All Studio teachers are trusted, caring, qualified professionals. Beginning teachers and assistants must complete a work study program and the T.A.P.P. Workshop. They qualify by demonstrating high skill levels in their chosen dance disciplines, above-average organizational skills and first-class commitment. We are fortunate to have such wonderful teachers and award winning choreographers. Join Us!